Ballet Theatre of Maryland [BTM]Â is the premier professional ballet company in Maryland. BTM employs a full-time company of professional dancers, as well as providing opportunities for dance students in its professional productions. Ballet Theatre of Maryland provides Maryland with rich traditional and innovative programs that entertain, inspire and enlighten through a language more powerful than words â€“ the language of classical and contemporary American dance. Originally named The Ballet Theatre of Annapolis, the organization was founded in November 1978 as a private non-profit corporation governed by a twelve-person Board of Trustees, and established residency at Maryland Hall for the Creative Arts in Annapolis. In 1980, Edward Stewart became Artistic Director and led the company until his death in 2002. In 1996, the company achieved professional status. 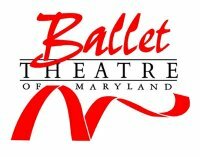 In 2000, the organizationâ€™s name was changed to Ballet Theatre of Maryland, Inc. to fulfill a new mission of serving the State of Maryland. Dianna Cuatto joined BTM as Artistic Director at the start of the 2003-2004 season and has since won numerous awards for her choreography with BTM. Â She begins her eighth season in Fall 2010.